Since the beginning of this year, Delvinia EVP Raj Manocha has been engaging the staff in a series of group exercises during the weekly update meetings that he leads every Monday morning. Whether he plans the activity, or the task is delegated to another member of the staff, the objective is always related to reinforcing our culture, developing skills, and providing an opportunity for the team to interact with people they don’t typically work with on a daily basis. Over the course of the year, the exercises have focused on a variety of different topics, such as communication, trust, accountability and authenticity. These sessions build on the three guiding principles that our CEO Adam Froman set out for the team at the end of 2015: effective communications, the power of collective leadership and the importance of maintaining a belief in success. This week, Roy Gonsalves, Senior VP of Sales at AskingCanadians, used the session to illustrate the importance of effective communication. To begin the exercise, members of the AskingCanadians and Delvinia teams were paired up. 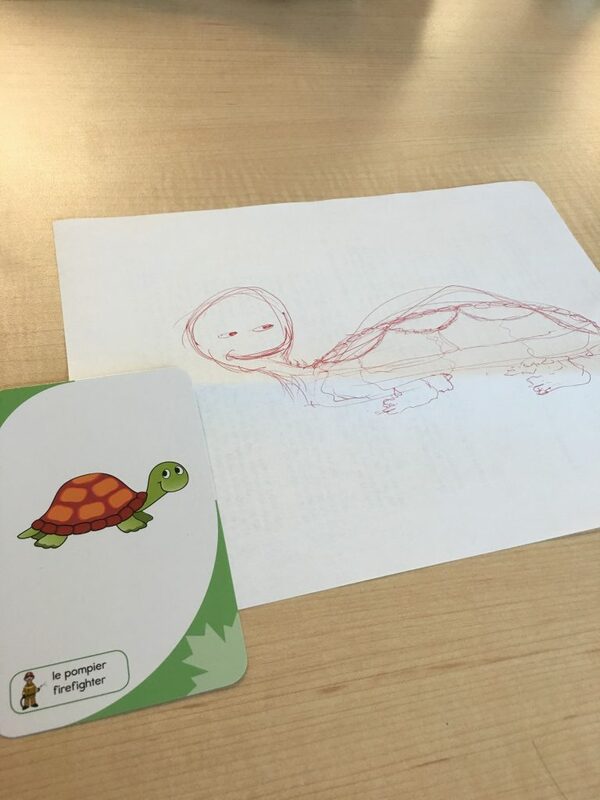 One person was given a card with an image on it and the other a blank piece of paper, on which they had to draw the image that was described to them. The rules were simple, each pair had to sit back to back, the person holding the card could not look at their partner’s drawing, and the person drawing could not look at the card. The exercise highlighted why it is important to understand how to get the right message across, because there is often a massive disconnect between what is in your head and what you are communicating. This becomes even more crucial when working with clients. In the end, the activity was a great success with the majority of teams accurately drawing the described image. The task also highlighted the need to have fun and interact with your colleagues on a different level every once in a while, which is a big part of the culture here at Delvinia.